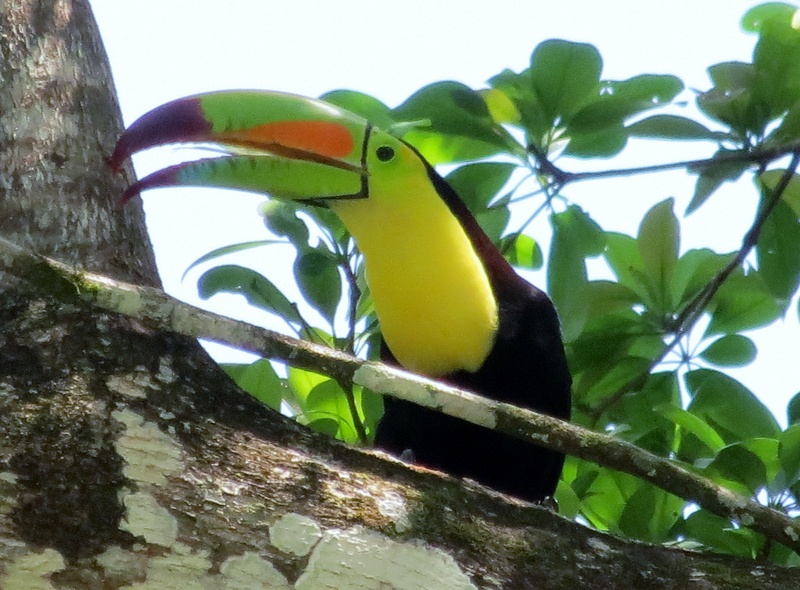 Category Archives: Toco Toucan (Ramphastos toco). Measuring 63.5 cm (25 in.) 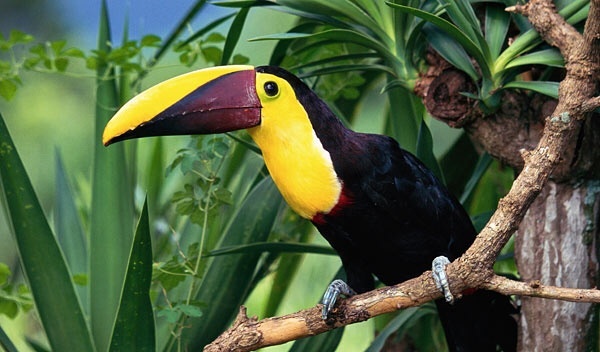 in length, the toco toucan is the largest of all toucans. 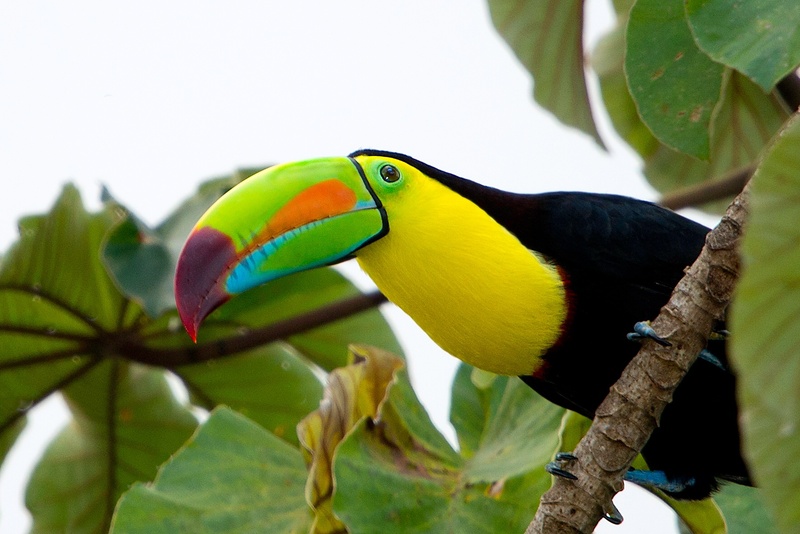 Its black body and white/yellow throat are overshadowed by its most recognizable trait: a large colorful beak. The bright orange beak is about 19 cm (8 in.) long – one third of the bird’s total length. But despite its substantial size, the beak weighs less than you may think. Composed of the protein keratin, the structure of beak incorporates many air pockets allowing for a very low mass. Furthermore, recent research has concluded that toucans regulate body temperature by adjusting the flow of blood to their beak. More blood flow means more heat is released. When toucans sleep, they tuck their beak under their feathers to keep them warm. 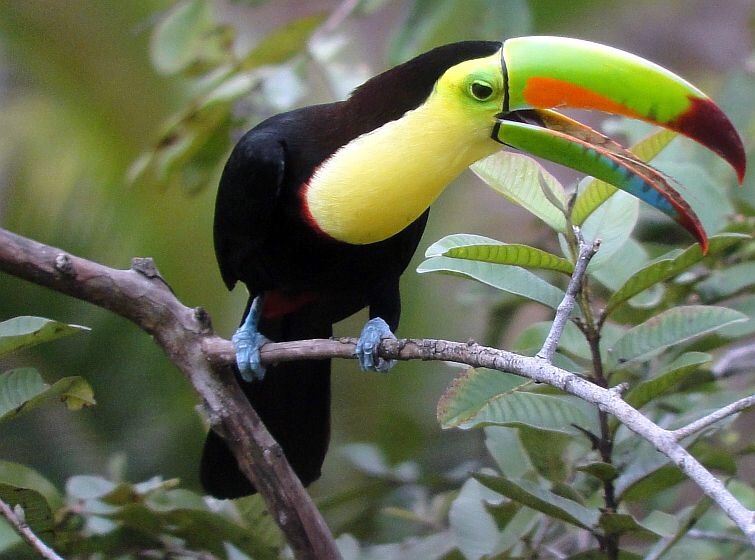 Toco toucans also use their beaks to pluck and peel fruit, their main source of food. 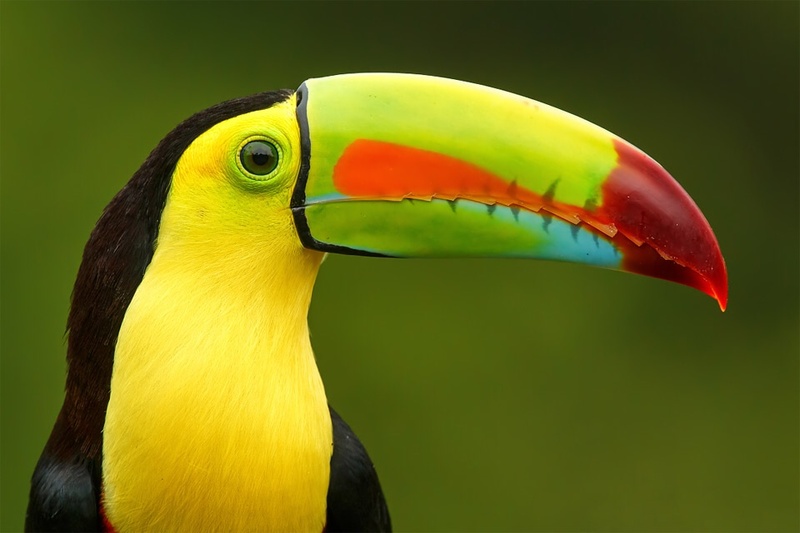 In addition, the beak houses a flat tongue of the same length, which helps the toucan catch insects, frogs, and reptiles. 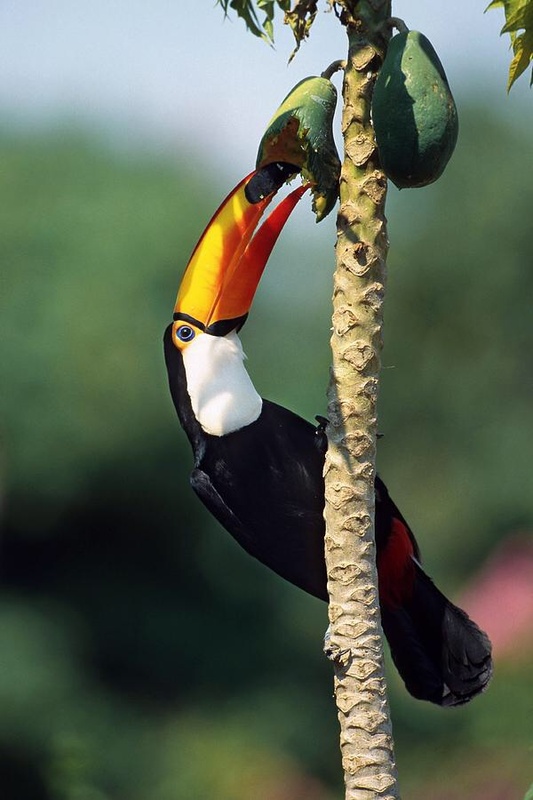 Toco toucans also occasionally eat the eggs of other birds. Although they spend a lot of time in trees, they are not very good at flying. 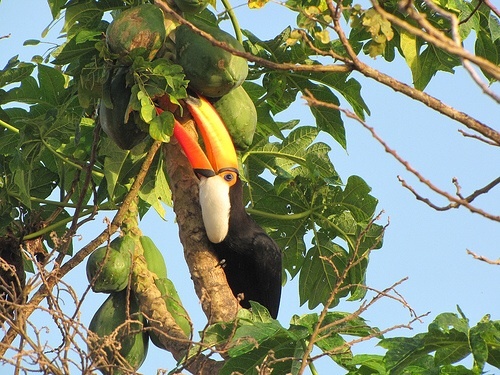 Toucans mainly travel among trees by hopping. When they do take flight, they flap their wings vigorously and glide, traveling only short distances. 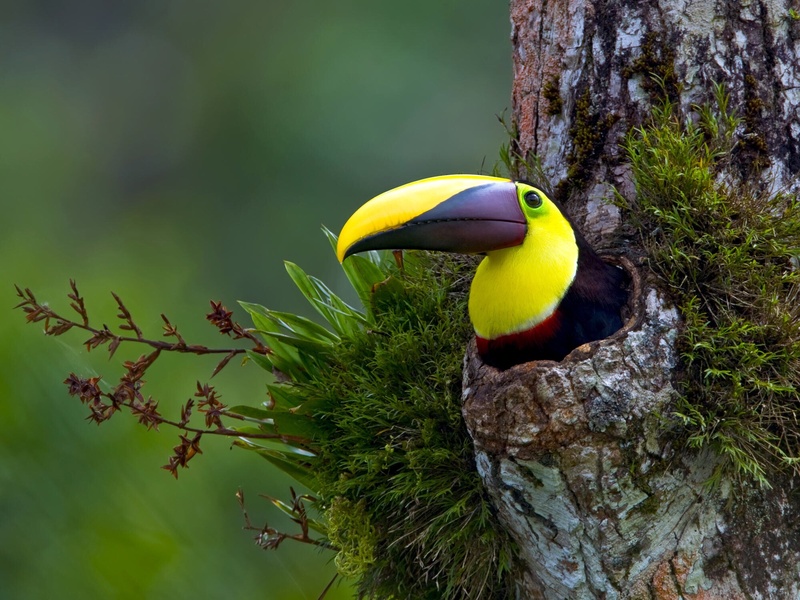 Toucans nest in the hollows of trees. They often move into cavities created and abandoned by woodpeckers. 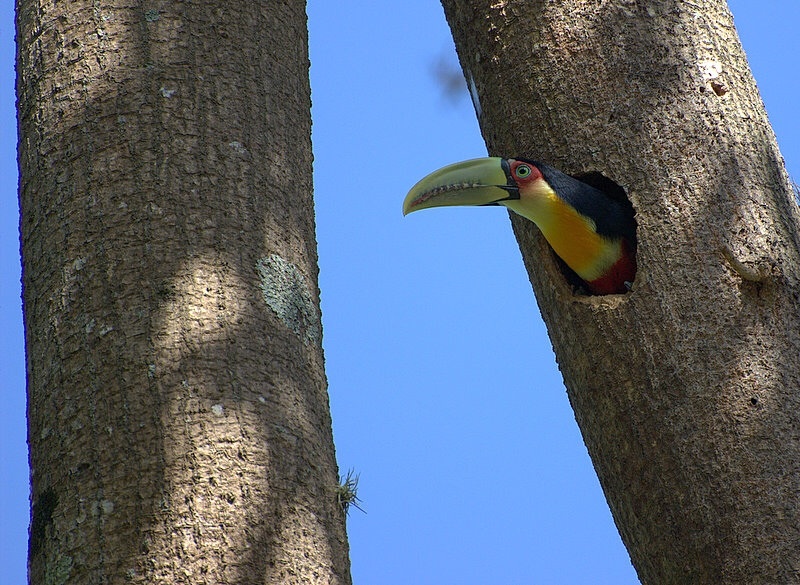 Several toucans live together in a single hollow. It is in these hollows that they lay their eggs, generally two to four a year. Both parents incubate the eggs for 16-20 days. Once the chicks hatch, both parents continue to care for the young. 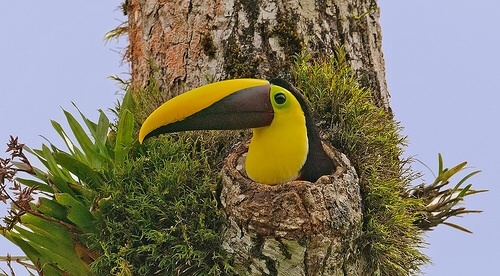 Baby toucans are not born with an excessively large beak; the beak grows as the birds develop. 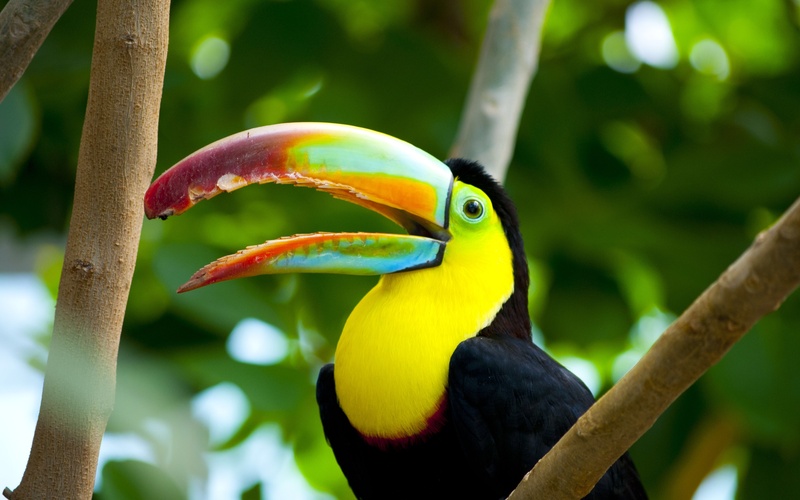 Native to South America, toco toucans inhabit a range of habitats including tropical forests, savannas, and shrubland. Because toco toucans can live in a variety of habitats, they are not as susceptible to rainforest destruction as other species. Their population has not been determined, but it is thought to be large due to the frequency of sightings within their range. 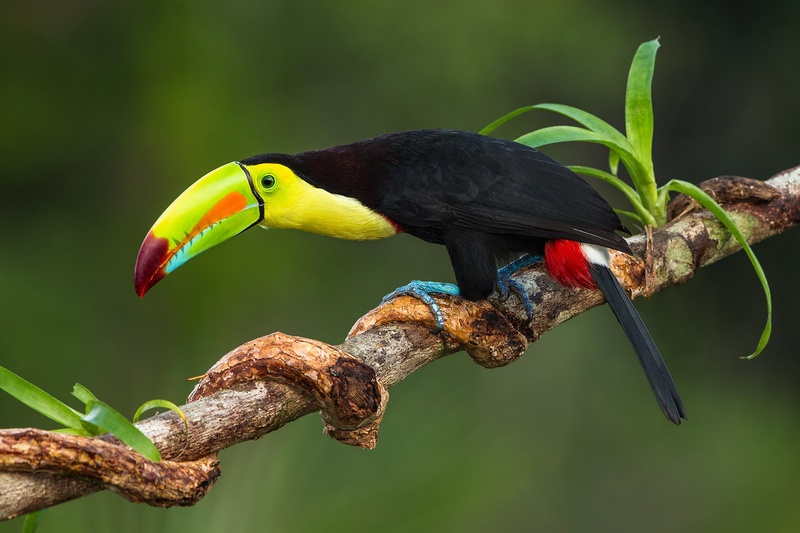 As such, the toco toucan is listed by the IUCN as being of least concern, and there are no specific efforts to protect the species. 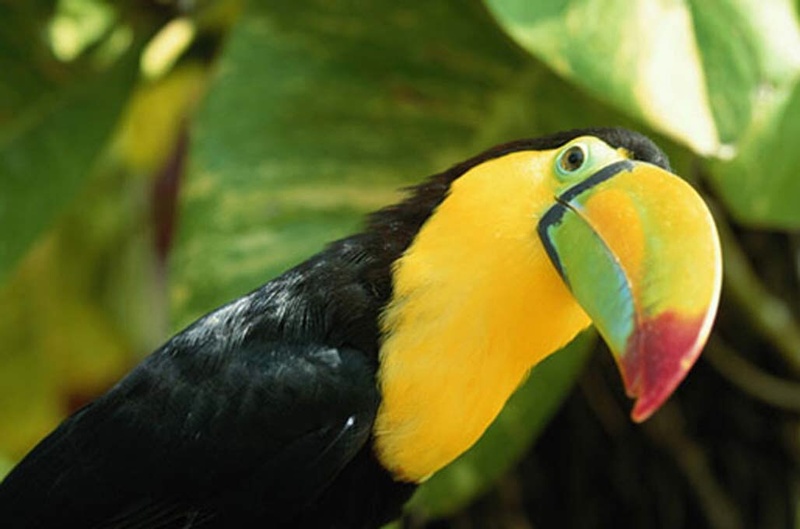 Although toco toucans are not considered threatened, you can still help protect their habitat. 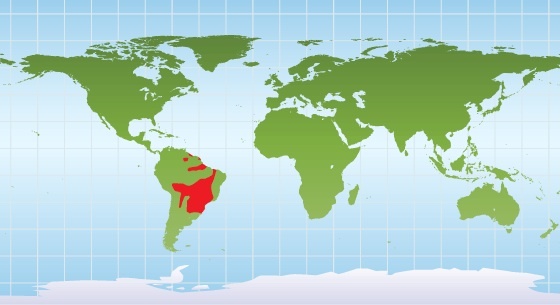 Avoid buying products made from rainforest wood and help raise funds to help protect the rainforests of South America.